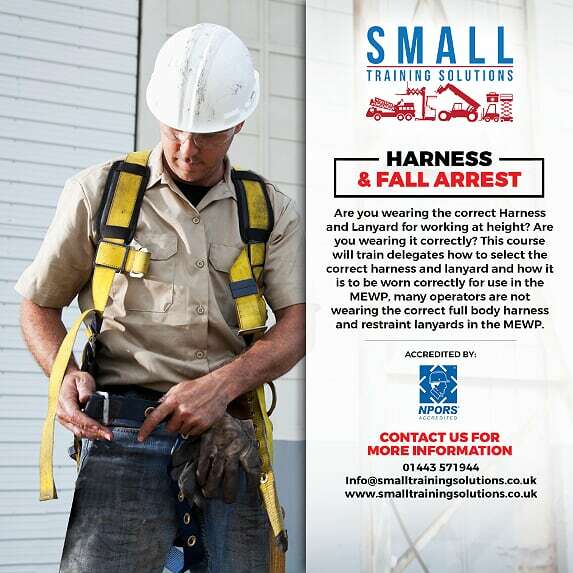 To provide delegates with a thorough understanding of the hazards associated with using and wearing harnesses. To have a working knowledge of how the various fall arrest equipment works and to carry out an effective pre use check. To provide delegates with a thorough understanding of the hazards associated with using and wearing harnesses. To have a working knowledge of how the various and to carry out an effective pre use check. ​Introduction, Harness Varieties, Lanyard Varieties, Hierarchy Categories, Fall Arrest / Work Position / Restraint Systems, Equipment Strengths, Safety Inspections & Storage, CE & EN Markings, Traceability, Theoretical Assessment, Fitting the Equipment, Course Evaluation.